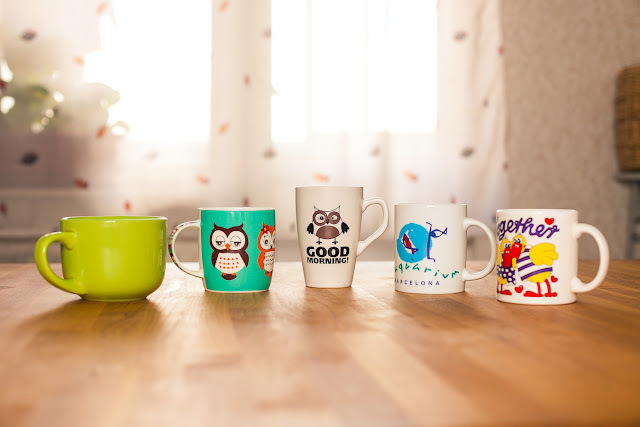 I do not collect mugs, but i have quite a few and almost no space left on the shelves for the new cups. I have my total favorites and it is always a problem to choose which one to use at the moment. 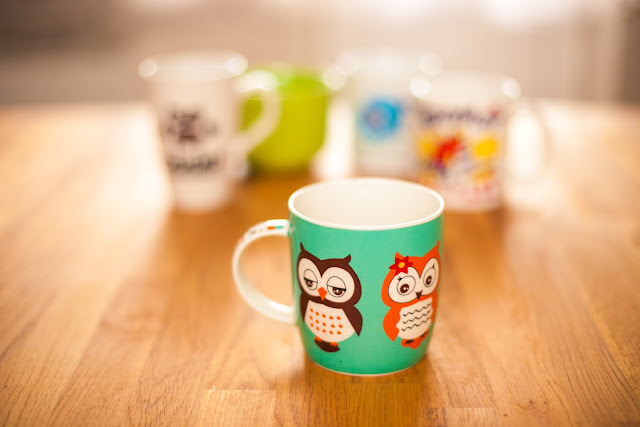 Now i'm in trouble, because my beloved Dear Dear husband gave me the new Owly mug. How can i choose now? Not long time ago, on the day when we finally came out together to celebrate our first anniversary of the wedding, we went to my favorite coffee shop and with the order i saw the lovely gift bag. 1.Big green mug - Best way to start your day. 5. Together Mug with the pair of yellow birds. Gift from my Dad. This Mug i have for years , and every time I use it, it raises my mood. I'm always amused that the birds on the mug have navels. Cute story. The turquoise owl mug is my fav! Oooh, your mugs are so cute! 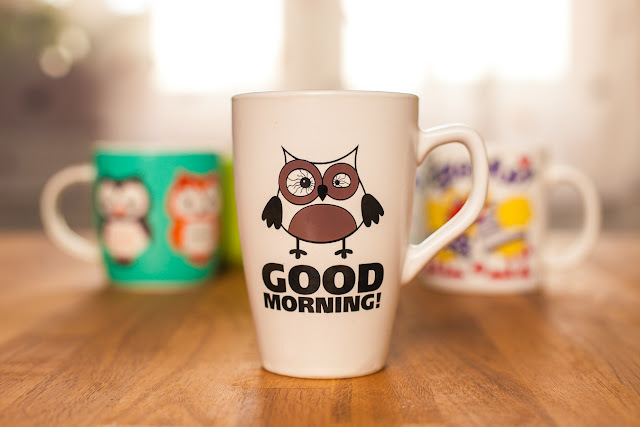 Lovely mugs, and it is wonderful to have such a caring husband!